Users: Manila Water Company, AEGEA, Hidroing Ltd.
Water utilities are faced with meeting a myriad of challenges ranging from disaster preparedness to environmental conservation to driving down total expenditures (TOTEX), at the same time as they are expected to improve service. Three examples from the 2017 Be Inspired Awards nominations demonstrate the key role hydraulic modeling applications play in achieving water utilities goals. Manila Water is a water utility concessionaire in the Philippines that provides water and wastewater services for 24 cities and municipalities and operates more than 100 facilities serving 6 million customers both in water distribution and wastewater treatment. The Philippines sits on the Pacific Ring of Fire where earthquakes and volcanic eruptions frequently occur. Metro Manila falls victim to this circumstance, being geographically transected by several fault systems, including the dangerous West Valley Fault System. The Philippines is also ravaged by an average of 20 typhoons per year. 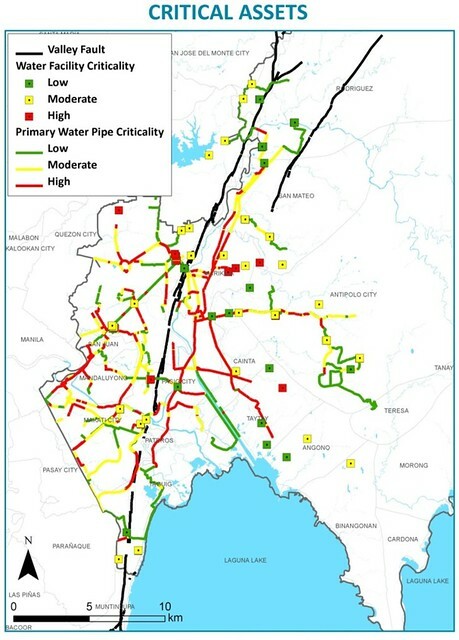 To address the great level of risk, Manila Water conducted a Resiliency and Business Interruption (RBI) study to determine the systems and facilities that are most vulnerable in the event of such natural disasters. The study indicated that significant damages amounting to approximately USD 520 million in water infrastructure is inevitable. Consequently, the Natural Calamity Risk Resiliency and Mitigation Master Plan was developed in collaboration with National Disaster Risk Reduction and Management Council (NDRRMC) and Local Government Units (LGU). The NDRRMC and LGU provided the emergency response plan as well as locations of evacuation sites that will be used in the event of a catastrophe. Manila Water must ensure that these identified sites will have a secure and reliable supply of water in case of emergency. WaterGEMS was used to identify and prioritize critical assets requiring resiliency and contingency measures by simulating the effect of losing one or several components of the water system and seeing how interconnected systems would react. With the application of the resiliency and contingency measures, a reassessment was made of the RBI study that estimated property damage and business interruption would be reduced by USD 380 million in the event of a calamity. Also, looking at a more immediate benefit of the master plan, Manila Water saved a total of USD 30 million on insurance through the concession period. 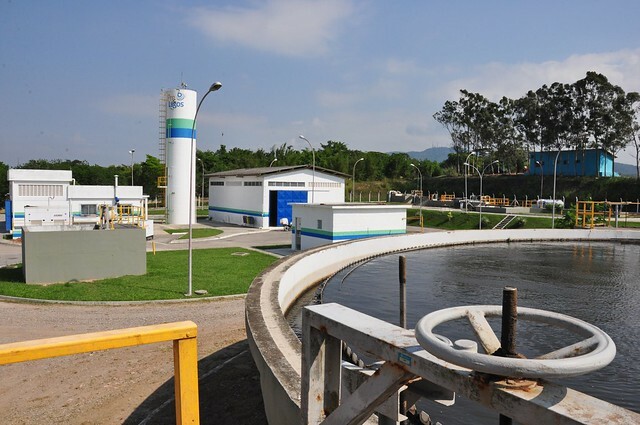 Prolagos, a concessionaire of AEGEA, provides water and sanitation services to five municipalities in the Região dos Lagos, in Rio de Janeiro, Brazil serving 400,000 inhabitants in low season and more than 2 million in the high season. Currently, 93 percent of the residents have access to the water supply and 76 percent to sewage collection and treatment. 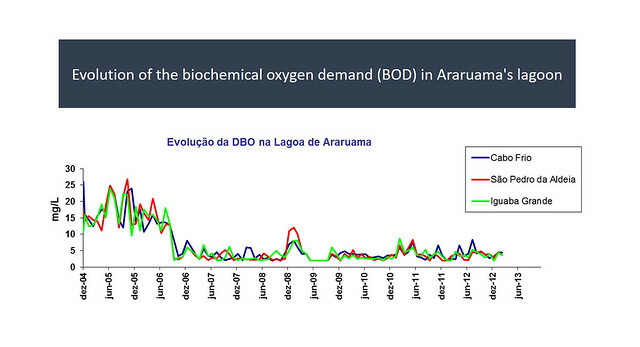 Prolagos strives to improve the sewer collection and treatment services with the highest possible ROI, while seeking complete decontamination of the Araruama lagoon to bring back social, environmental, economic, and tourist benefits to the region. The Araruama lagoon is the largest mass of hypersaline water in a permanent state in the world. In 1998, the lagoon was completely polluted leading to the death of aquatic plants and animals. This large-scale pollution raised the unemployment rate in the fishing industry, severely reduced trade and tourism activities, and increased risks to human health. For the Sewerage Master Plan 2041, Prolagos integrated data from GIS, CAD, SCADA, and drones in a planimetric survey using SewerGEMS. They developed the models to analyze “what-if” scenarios, and to determine the best long-term hydraulic combination of both sewerage and drainage systems for environmental, social, and economic gains. SewerGEMS “scenarios comparisons” were instrumental in engaging AEGEA’s management team in the face-to-face meetings. An initial comparison of the master plan preliminary results with previous official studies showed a reduction of approximately 60 percent on the necessary investment to achieve the same rate of sewage coverage – 90 percent. Moreover, the plan enables significant annual cost savings due to the decrease of the systems’ energy consumption. These savings would result from a decrease of 35 percent of the volume treated in the wastewater plants. The saving resulted from plan’s separation of sewage and drainage flows, which reduced the number of sewage lifting stations and improved the efficiency of the pumping systems, with some individual pump stations demonstrating gains of over 20 percent. Moreover, the expansion of the separated sewage collecting system helps mitigate environmental impacts in the lagoon by stopping untreated discharges when sanitary sewers overflow from stormwater inflow or ground water is infiltrated through the concrete drainage pipes. The model estimates a reduction of 6 million cubic meters of untreated discharges. 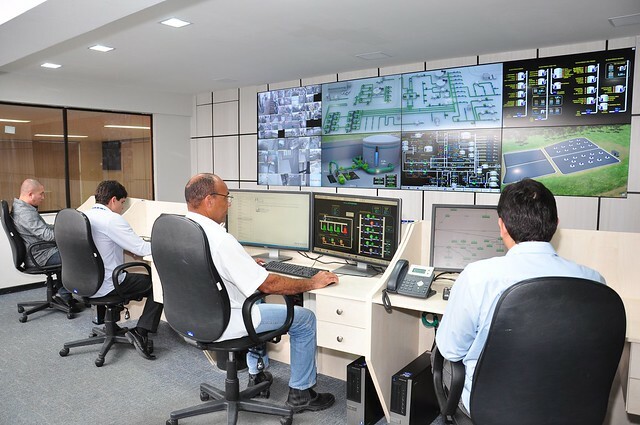 Through integration with the operational control center, it was possible to easily simulate the effects of alternative investments scenarios in the networks operational efficiency. Varkom is a utility providing water services to seven townships and 20 municipalities in Varazdin County in Croatia. Varkom sought to implement a major water loss program that would enable cost savings and increase service quality for the county. 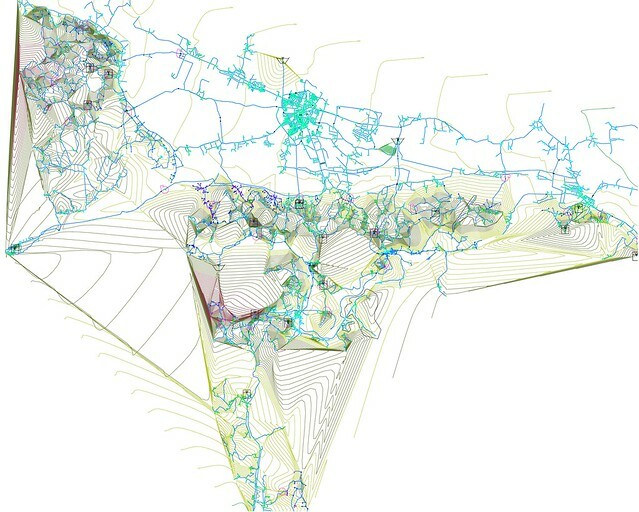 The project included development of an accurate network map in a GIS and a comprehensive model facilitated by field measurements. 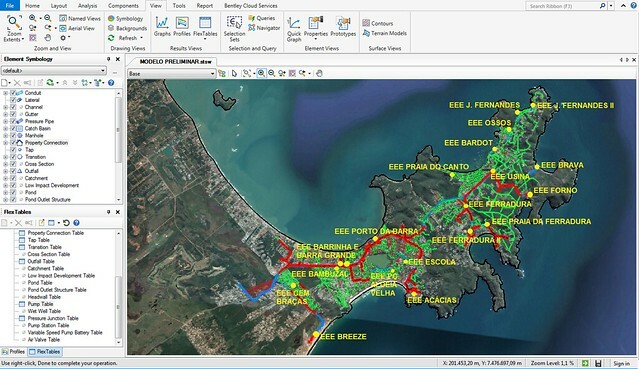 The model was the basis for applications that included water demand analysis, pressure management, and water loss analysis based on the International Water Association (IWA) Water Loss Specialty Group (WLSG) methodology, SCADA development, District Metered Area (DMA) zoning, cost-benefit analysis, and feasibility studies. Hidroing Ltd. developed the model and implemented these applications for Varkom. The project enabled Varkom to make informed decisions for investing in water loss reduction with a final goal of reducing water loss by 2 million cubic meters per year. As Varkom pumps water from underground wells, water usage and energy usage will be reduced along with reduction of CO2 due to decreased pumping. 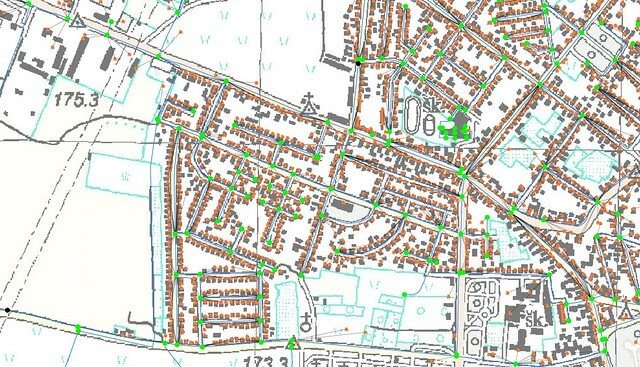 Using WaterCAD, Hidroing fulfilled tight schedule demands and finished the project in 12 months, with an estimated 600 resource-days in savings attributed to the use of WaterCAD. A significant challenge was scheduling the field work for GIS mapping and field measurements to meet project timelines. WaterCAD’s capability to add sub-models saved Hidroing three months of time since it was possible to work on many tasks simultaneously. 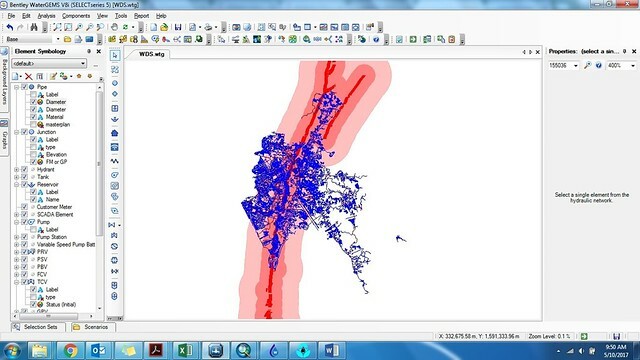 “Bentley WaterCAD capabilities in combining different input database formats enabled us to make a precise hydraulic model and obtain accurate results, thus enabling Varkom to make valid decisions for its water supply network development,” said, Igor Dundovic, project manager, Hidroing Ltd.